The Infection Continues to Spread!!! The Walking Dead Escape Tour 2014 is in full effect and continues to spread across the country. With creator Robert Kirkman and his imprint Skybound of Image Comics, they have created something truly amazing in The Walking Dead Escape, which began two years ago at the Petco Park in San Diego during San Diego Comic Con 2012. The event would begin here, but would soon venture to other cities. There has been an all out tour this year that was held in Baton Rouge, Philadelphia, New York City, Houston, Atlanta, Minneapolis, Hartford, and moving its way back to where it began in San Diego. The Walking Dead Escape San Diego returns at Petco Park during the San Diego Comic Con 2014 on Friday, July 25th and Saturday, July 26th. We were fortunate to attend the very first TWD Escape in 2012 and being Walking Dead fans of both the comic series from the beginning and the successful AMC television series, I can tell you it was truly incredible to see the Walkers come to life. 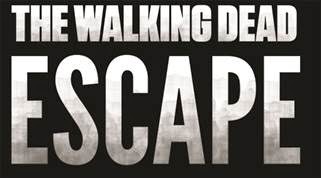 The Walking Dead Escape allows the people to become Survivors where they face their fears to hopefully escape the outbreak and to prevent a bigger spread. The event also allows people to actually become Walkers where they get into full makeup to chase the Survivors. Who will survive? We attended both The Walking Dead Escape 2012 San Diego and The Walking Dead Escape 2013 San Diego where both were not successful to survive. The tour will continue after San Diego and travel to Miami, Tampa, Jacksonville, New Orleans and other cities near you.